IDPP participated, for its seventh consecutive year, in the Conference of States Parties (COSP-10) to the UN Convention on Rights of Persons with Disabilities at the UN Headquarters in New York on June 13-15, 2017. COSP-10 is one of the largest and most important gatherings of the global disability community. IDPP has traditionally had multifaceted participation at the conference and this year was no different. At the conference, IDPP organized three side events and co-sponsored two. 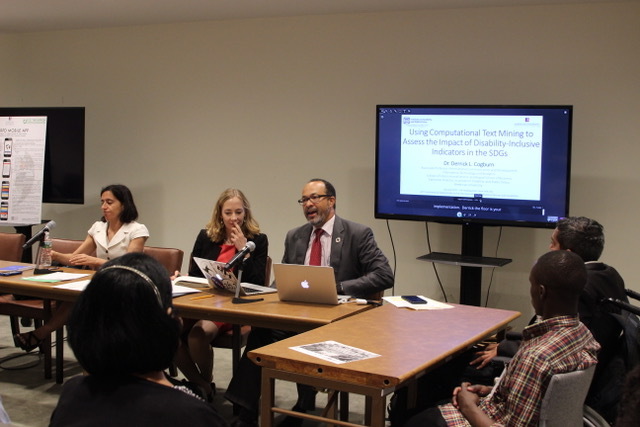 The first side event on June 13 highlighted Dr Cogburn and Dr Kempin-Reuter's book "Making Disability Rights Real" on the implementation of the UN CRPD in Southeast Asia. It was co-sponsored by The Permanent Mission of Senegal; Office of the UN High Commissioner for Human Rights; UNDESA/DSPD; Global Initiative for Inclusive Information and Communication Technologies (G3ICT), and the Institute for Human Rights, University of Alabama at Birmingham. 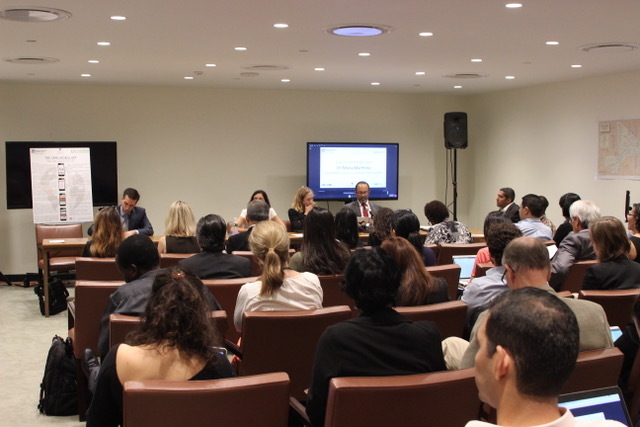 The second side event on June 14 discussed the use of big data analytics to monitor the implementation of the UN CRPD and the UN Sustainable Development Goals. 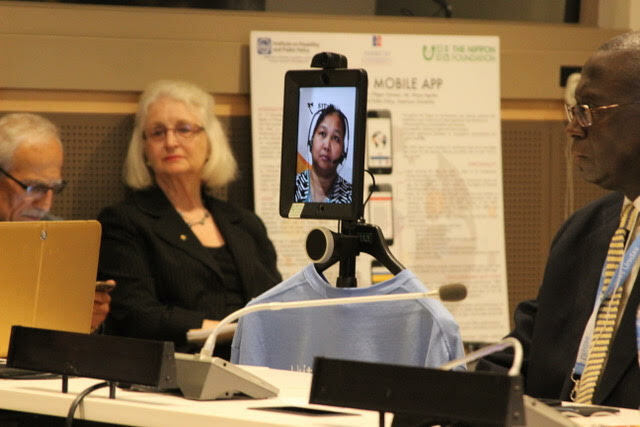 It was co-organized by UN DESA, Secretariat for the Convention on the Rights of Persons with Disabilities and co-sponsored by AXS Lab, Inc.; UN Expert Network on Monitoring and Evaluation of Disability and Development (MEDD); and the Institute for Human Rights, University of Alabama at Birmingham. 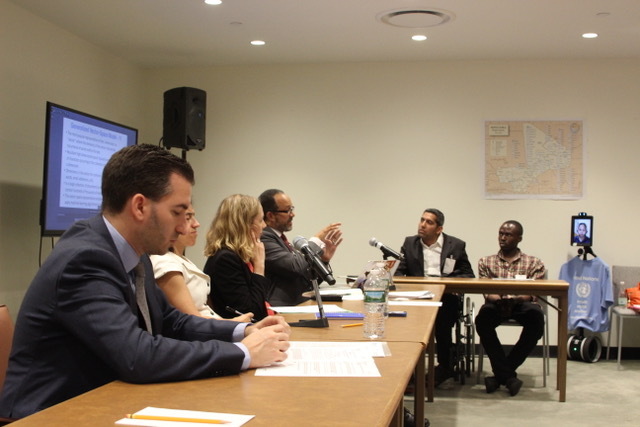 On June 15, IDPP organized a side event on "Accessible Global Governance" highlighting our recent research work in the area. It was co-sponsored by Permanent Mission of Ecuador, International Disability Alliance; Disabled People’s International; G3ict; GAATES; World Enabled; AXS Lab Inc.; Special Olympics; Assistive Technology Development Organization, US International Council on Disabilities and Rehabilitation International. 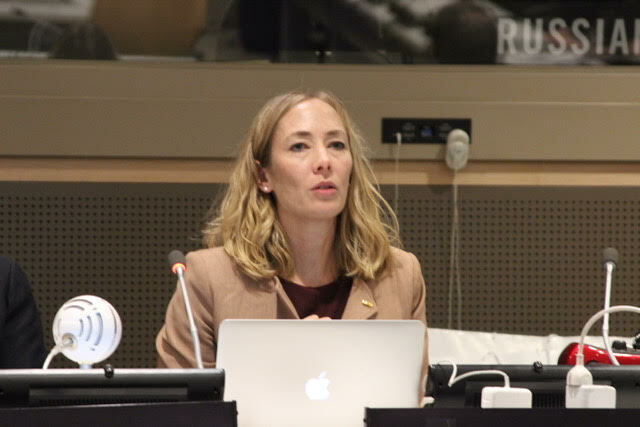 Ms. Stefanie Dannenman, Deputy Head, UNISDR Europe, made her presentation during this side event via the Double . On the same day, IDPP also co-sponsored two other side events: Implementation of SDGs and CRPD organized by The Office of the United Nations High Commissioner for Human Rights (OHCHR) and "Smart Cities for all" organized by the World Enabled, Permanent Mission of the UAE & G3ICT. IDPP is proud to have been a part of many fruitful and productive discussions over the three days and we're looking forward to putting many of the ideas discussed into practice.